For businesses that revolve around using multiple vehicles, a reliable motor trade insurance policy is vital to operating with complete peace of mind. At Arkwright, we can provide competitive insurance quotes for commercial fleet operators to help you and your business stay protected and meet your legal obligations. If your business operates by having multiple vehicles on the road, each one of those vehicles will need to be properly insured. The best way to go about this is to get your entire fleet covered on a single policy, making it easier for you to manage how your vital assets are protected. Whilst it's not a necessity, having a fleet insurance policy certainly helps to make the process of insuring all your vehicles less of a headache. This is especially the case if you have a vast, expansive fleet made up of different types of vehicle, including cars, vans, trucks and HGVs. Not only does a single fleet policy help to keep all of your vehicles insured, it could also be the cheapest option as an alternative solution to insuring vehicles individually. Even if it turns out not to be the cheaper option, however, you may find that you could still make a saving in administrative time and resources by managing just one cover-all policy. Whether you operate a handful of vehicles locally or hundreds nationwide, the needs and activities of fleets can vary massively from one business to the next. There are many different types of specialist fleet insurance policy available, including those for supply and distribution hauliers, taxi and minibus hire services and even recovery vehicles. Fleet insurance has a few specific aspects that you wouldn't necessarily find with other types of motor or business insurance. Understanding these differences can go a long way to informing you and ultimately helping you to reduce your premiums. The practices you carry out as part of your daily business - such as employing experienced drivers with good records, conducting thorough risk assessments and keeping vehicles free from modifications - will offer insurers a clear indication of how efficiently you operate. This can strongly influence the kind of premium you can hope to expect. Insurers may also pay attention to the safety and security of your vehicles. By keeping them regularly maintained and serviced, you can demonstrate to insurers that your vehicles are road safe and less likely to face mechanical problems while out and about. Security features on vehicles and where they're parked overnight will also be a factor, as your efforts to prevent damage or theft can also be rewarded. On top of this, many businesses are using the latest technologies to enhance their fleets with telematics and on-board surveillance. With installed devices like black box recorders and dashboard cameras, business owners can get a better idea of how their drivers are doing on the move. Some insurers may also look favourably on this use of tech as it can analyse driver performance and provide video evidence of accidents where you're not at fault. If your fleet uses this equipment, an insurer may naturally provide lower premiums or offer certain discounts. It's important to check, however, to ensure that you know exactly how your insurance provider calculates the premium they offer. Don't be afraid to ask questions about your fully check out your policy terms and documentation. At Arkwright, we have specialist knowledge of insuring commercial vehicles and fleets. Trucks and HGVs require a bit more consideration when it comes to standard motor insurance, whilst covering multiple vehicles on a single policy can be quite a complex process. We deal with a large panel of insurers to ensure that we can provide you with a tailored policy to cover exactly what you need at a premium that suits you and your business. Discuss your specific requirements with one of our expert team today and let's get started on finding you a competitive quote. Call Arkwright Insurance direct on 01204 392 525 and speak to us about your commercial fleet and truck insurance needs, or take a look at our Specialist Insurance pages below to find out more about specific policy areas we can help you with. Suitable for companies, businesses or individuals hiring vehicles to the general public. 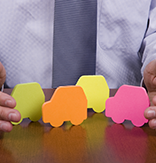 Fleet insurance policies are generally available for all kinds of vehicles, whatever your business requires them for. 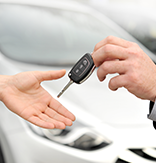 Cover temporary third parties to drive hired replacement vehicles with Credit Hire Insurance. 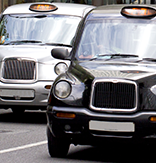 Taxi insurance factors in the increased risks of public liability and the effect of drivers being on the road all day. Multi-car insurance policies tailored to meet your family's specific needs on an individual basis. Cover for truck and HGV fleets for businesses of any size that account for additional concerns.